LiquidSky is a game streaming service that allows access to your games from any PC. Version 2.0 entered beta today adding support for Android devices. 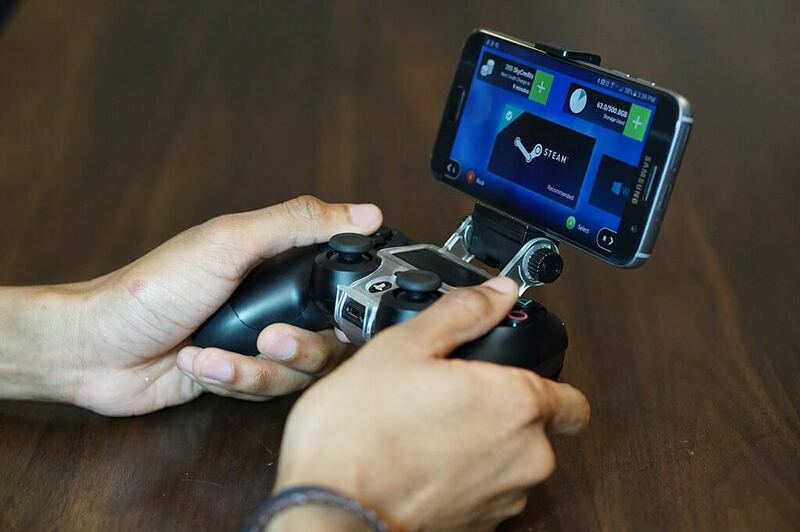 Your phone or tablet now has the power to play any PC game. A Mac version of the client app is said to be coming soon as well. The service is similar to Sony's PlayStation Now. Games are run on LiquidSky's machines which they like to call 'SkyComputers,' which are virtual gaming PCs set up on their data center. Technically you don’t have to own a gaming PC to use the service. As long as you have a fast internet connection and the LiquidSky client connected to a Steam, Humble Bundle, GoG, Origin, or Blizzard gaming account, you are ready to go. The reliable net connection is the most crucial requirement for the service. An ethernet connection with a minimum internet speed of 5 Mbps is required, but for the best results at least 20 Mbps is recommended. Ethernet is not common for Android devices, so a 5 GHz Wi-Fi or 4G cellular connection will have to do. LiquidSky advises against trying to connect with 2.4 GHz Wi-Fi “due to high chance of interference and packet loss.” It goes without saying that streaming games requires a ton of bandwidth, so before using 4G be sure your data plan (or wallet) can handle the usage. In addition to downloading games from your Steam library or any of the other storefronts listed, you can also download games straight from the internet (no torrents). In fact, the service is not limited to playing games. You can use SkyComputers like your own personal, high-powered PC and install just about any application on them. The premium plans start at $19.99 per month, which gets you up to 80 hours (4,800 SkyCredits) of usage plus 500 GB of permanent storage for your games and applications. You can also buy SkyCredit packages starting at $9.99, which gets you up to 30 hours (1,800 credits) and 100 GB of storage, but the storage is limited to seven days. There is a free plan where you watch ads to earn time, but your 100 GB of storage only lasts for three days. It's also worth mentioning that usage time varies depending on which performance package you are using, Gaming or Pro. If you purchase credits or buy a monthly subscription, you receive immediate access to the beta. Those who want to play for free will get a "boarding pass" and will have to wait until their pass is called, which could take up to two weeks. LiquidSky is not the first company to promise game streaming to any device. OnLive promised the same thing in 2010, but went belly up in 2015. Sony bought up all of OnLive’s patents, which is what got PlayStation Now off the ground. Streaming movies, television, and possibly games seems to be the entertainment platform of the future. Who would have thought that people would start ditching cable en masse for streaming services? Putting the smartphone/tablet functionality aspect aside, could the same happen for gaming PCs? Will people stop spending mountains of cash on gaming rigs and opt for a cloud-based alternative? It is possible, but I don't see it happening anytime soon. Game streaming needs a bit more time to prove its worth.